is it ‘opposite day’ in sarah palin’s world? | moonwort. is it ‘opposite day’ in sarah palin’s world? For those of you who have been in a decontamination center: Sarah Palin apparently got caught with her hand in the cookie jar. With the swell of information regarding the 2008 elections, Obama being a “terrorist”, John McCain hating “gooks”, and the economy vaporizing – someone easily could have missed the scandal that the McCain-Palin ticket has worked hard to bury. Basically, Sarah Palin’s sister married the wrong guy and her governor sister came to her aid when things seemed to spiral beyond her sister’s control. Being the arrogant maverick that she is – she fought back, and basically wanted to show her brother-in-law, who was a State Trooper, who had the most swagger in the state of Alaska. Palin attempted to impose “impermissible pressure…on several subordinates in order to advance a personal agenda” and used her role as governor to cast unethical influence on others to push for the termination of the in-law, and ultimately to fire the subordinates who resisted. And she got caught, and has proceeded to intervene and disrupt the investigation in any way possible – often referring to the legitimate investigation into her as a “circus. So what is Sarah Palin’s response to the investigation’s findings which showed she was unethical and abused her powers? The easiest way to verbalize what Mrs. Palin showed us in her responses – is to say – she thinks it is “Opposite Day.” Remember that great childhood game when if you wanted someone to do something, you asked them not to – and if you wanted them to not do something, you begged them for it. What if the politicians involved in Watergate simply said “Finally, the investigation shows we are innocent!”? I’m not sure of the actual power the investigating committee has, but it seems from Palin’s comments that she is playing semantics. Her emphasis in both comments of being cleared of any legal wrongdoing is probably how she justifies with herself that it is in fact NOT lying – but merely pointing out the lack of authority of the committee, who cannot find her legally guilty of anything. In honor of this great display of undeniable support for the spirit of “Opposite Day” – Sarah Palin, we love you. 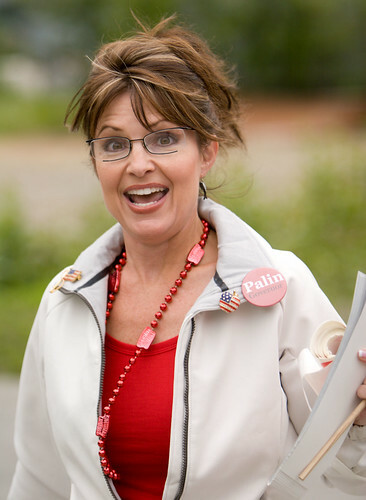 Related article: Son of Troopergate, Sarah Palin files an ethics complaint against herself? Pingback: Is it ‘Opposite Day’ in Sarah Palin ’S World?